We have 10 registered suppliers in this Province ..! WE CHARACTERIZE FOR OFFERING A DIFFERENT PLACE FOR RECREATION IN FAMILY WITH FUN ATTRACTIONS THAT WILL MAKE A UNIQUE AND UNFORGETTABLE EXPERIENCE. The Province of Pichincha is one of the 24 provinces that make up the Republic of Ecuador, located in the north of the country, in the geographical area known as the interandean region or sierra, mainly on the basin of Guayllabamba in the east and sub-Andean branches in the northwest. . Its administrative capital is the city of Quito, which is also its most populated city and the capital of the country. It is also the main commercial center of the country. It occupies a territory of about 9,612 km², being the eleventh province of the country by extension. It limits the north with Imbabura, the south with Cotopaxi, the west with Santo Domingo de los Tsáchilas, the northwest with Esmeraldas and the east with Napo. In the territory of Pichincha, 2'576,287 people live, according to the last national census (2010), being the second most populated province of the country after Guayas. The Province of Pichincha is constituted by 8 cantons, with their respective urban and rural parishes. 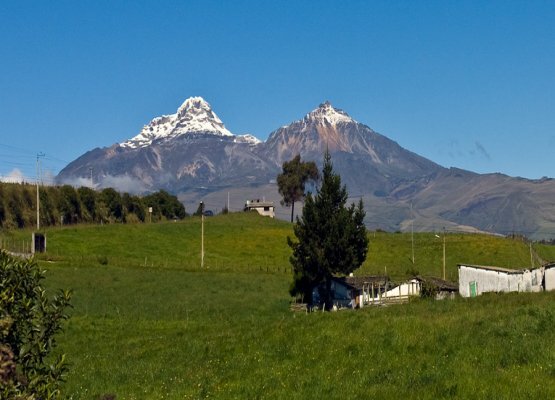 According to the last territorial order, the province of Pichincha will belong to a region 2 comprised by the provinces of Napo and Orellana, called the North Central Region. with the exception of the Metropolitan District of Quito. It is the largest administrative, economic, financial and commercial center of Ecuador, since it is the headquarters of almost all government agencies, banks and 60 of the 100 largest companies in the country. The province acquires its name from the active stratovolcano of the same name, located at north center of this. The first registered settlements date back to 10 thousand years old near the Inga sector. He had different migratory periods from the mountains such as Cayambis, Quitus, Yumbos and the coastal region as the Faces. Later on it was conquered by the Incas under the command of Huayna Cápac. The Spanish colonization occurred on December 6, 1534 with the founding of the city of Quito, during that period the maximum entity and precursor of the province would be the Corregimiento of Quito, after the independence war and the annexation of Ecuador to the Great Colombia, Pichincha was created on June 25, 1824, which makes it one of the 7 first provinces of Ecuador. This province is the corollary of the subdivision of the extinct Department of Ecuador.